Two’s company, three’s a party. 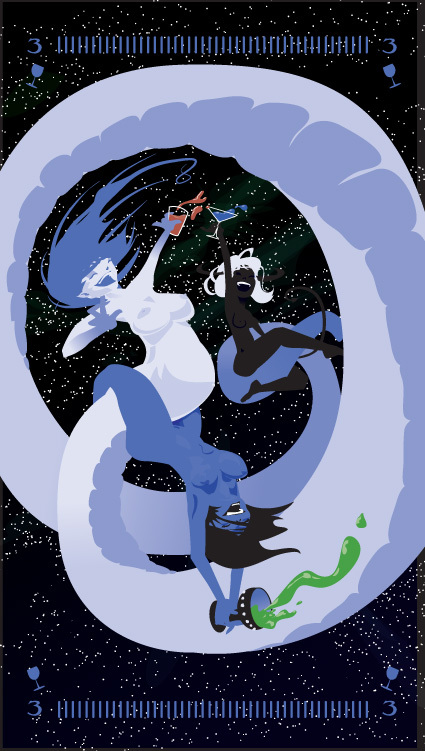 The wives from the Two are joined by a third, coiling and swirling merrily through space. Drinks of red, green, and blue recall the Lovers. There’s no worry about spilling the drinks; there’s always more to be had. Abundance. Pleasure. Love overflowing. One hell of a party.